This pattern is dedicated to Princess Diana, who dreamed of being a prima ballerina. And, of course, to your sweet little ballerina, too. Rnd 1: Ch 4, join w sl st in 1st ch to form ring, ch 3, 11 dc in ring, join w sl st in 1st dc (12 dc). Rnd 3: (Work this round in back loops only) Ch 3, dc in each dc around, join as before (24 dc). Rnds 4-5: Ch 3, dc in each dc around, join as before, fasten off after Rnd 5 (24 dc). Join yarn with sl st in any free loop between Rnds 2 and 3, ch 3, 4 dc in same dc, 5 dc in next dc and in each dc around, join as before, fasten off (120 dc). Sew straps at sides of Rnd 5 as shown, skipping about 5 dc between straps and between armholes. 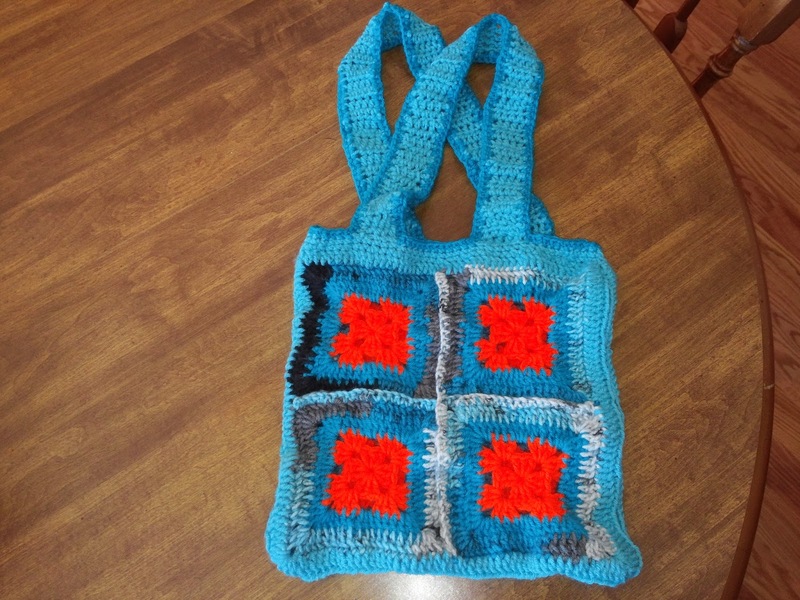 With this pattern you can turn it around and make it a Dress basket and choose your own colors. 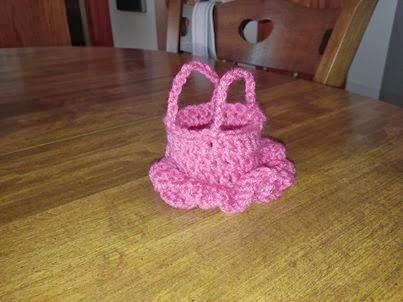 I will share updates with this pink dress basket I made. 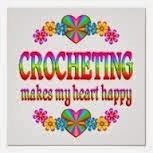 I will probably sew buttons and flowers or ribbons not sure yet but check back with me later. My own version pattern will be posted later. Delivering hand-made blankets to the victims of the 2005 Hurricanes – Rita and Katrina. Love in the Language of Yarn (LILY) is an organization that helps provide orphans and Syrian refugee children with a little warmth and comfort through knit and crochet hats, scarves, mittens, blankets, and much more. LILY prides itself on providing garments and blankets for those in need throughout the world. Stephie's Corner will show you how. She has it picture by picture tutorial. Saves me time to teach you when others are also teachers. My Bow Tie Headband Ear Warmer...I LOVE IT! Facing the cold weather. You can make this too! I know many of my fans will ask me. Do you have the pattern? 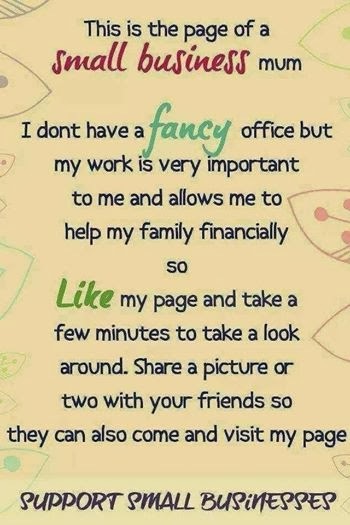 This is easy and simple to make. BandRow 1: Ch20, (or the width you need) dc in 4th ch from hook, dc across to the end of row. Ch3, turn.Row 2: 1dc in 2nd st (chain 3 counts as your 1 st ), 1dc across to end of row. Ch3, turn.Repeat row 2 until you reach your head circumference. The headband will stretch a little, so take this intoaccount when making your length. Fasten off leaving a long tail for sewing ends together. In the tutorial Imade mine 54cms long. My head is 58 cm. The crochet band will stretch quite a bit because it’s dc. Place 1 st row and last row together and sew ends together with a whip stitch (or slip stitch them together)making sure you sew under both loop edges. Once you’ve finished sewing edges together, fasten off and sewends into your work to hide yarn end. TabRow 1: Ch9, or the width you want your tab) 1hdc in 2nd ch from hook. 1hdc to the end of row. Ch2, turnRow 2: 1hdc into each st to the end of row.Repeat row 2 until you have your desired length. Do not finish off How to work out if your tab is long enough.Lay the head band flat making sure the seam is in the middle. Next make several folds, from bottom to top,(fold like you were folding a paper fan) Note top and bottom edges should be facing up. You should haveabout three folds gathered. Wrap your tab around the folded middle of these folds and it should be a tightfit. Turn your gathered piece over and pull both ends of your tab tight and sew up with whip stitch taking yourdarning needle under both loop edges. If the tab isn’t a tight fit take out a row of your crochet. Hi! Fans, This is where you can make your own Granny Square Baby Bonnet and Booties. I spend a lot of time on the internet looking for new patterns. I usually find a pattern and use the basic pattern but I add to it to be creative. Here is a picture of one I made. Grab this at my shop. It is newly listed and I only have one. I will be making more. Follow the easy step-by-step instructions of this vintage crochet pattern to make this classic baby set. There is absolutely no charge for personal use of this crochet pattern for a sacque, baby bonnet, and baby booties. 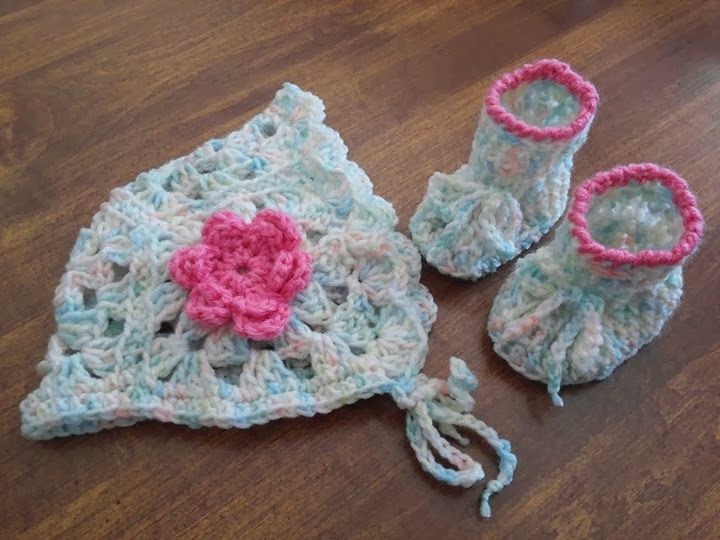 Crochet a Set for an Infant! Size 2 White Crochet Hook STEP-BY-STEP INSTRUCTIONS Crocheting the Sacque Starting at neck edge, ch 66. Row 1 - Skip 1 st, work 1 s c in each remaining ch st (65 sts). Ch. 1 turn. Row 2 - Work 1 s c in each of first 12 sts; 3 s c in next st; 1 s c in each of next 6 sts; 3 s c in next st; 1 s c in each of next 25 sts; 3 s c in next st; 1 s c in each of next 6 sts; 3 s c in next st; 1 s c in each of last 12 sts; ch 1 turn. Row 3 - 1 s c in each of first 13 sts; 3 s c in next st; 1 s c in each of next 8 sts; 3 s c in next st; 1 s c in each of next 27 sts; 3 s c in next st; 1 s c in each of next 8 sts; 3 s c in next st; 1 s c in each of last 13 sts. Ch 1 turn. Row 4 - 1 s c in each of first 14 sts; 3 s c in next st; 1 s c in each of next 10 sts; 3 s c in next st; 1 s c in each of next 29 sts; 3 s c in next st; 1 s c in each of next 10 sts; 3 s c in next st; 1 s c in each of last 14 sts. Continue increasing as given above, until 17 rows in all have been made (193 sts). Do not break yarn. With a separate strand of yarn, join front and back of yoke at underarms with a ch of 6, skipping 38 sts across each shoulder. On the next row, work in pattern across the 129 sts as follows (wrong side): Row 1 - Draw up a long loop in first st (about 3/4 inch), Y O hook and through the loop, ch 1, * skip 3 sts, work 3 d c in next st, ch 1, 3 d c in same st (shell st), skip 3 sts, Y O hook, draw up a loop in next st, Y O hook and through 3 loops on hook, ch 1; repeat from * across row. Row 2 - Draw up a long loop, Y O and through the loop, ch 1, * work 1 shell st over the ch 1 in center of shell of row below, Y O, draw up a loop in center of loop of row below, Y O and through 3 loops on hook, ch 1; repeat from * across row (16 shell sts), drawing up last loop through the ch 1 at end of row instead of the loop. Repeat row 2 until 15 rows in all have been made. Sleeves: On wrong side of garment, join yarn into the 4th ch st at underarm. Draw up a loop in next st, ch 1, skip 4 sts, * work a shell st into next st across shoulder edge, skip 3 sts, Y O hook and draw up a loop in next st, Y O, and through the 3 loops on hook, skip 3 sts; repeat from * skipping 4 sts before drawing up last loop at end of row (5 shell sts). Work back and forth in pattern until 11 rows in all have been made. Ch 1 turn. Cuff: Work 1 s c in each d c of row below, then work back and forth in s c, st for st, for 7 rows. Work 1 row of picot sts. Fasten off. Work 1 row of beading around neck edge. Work 1 row of picot sts around entire sacque. Sew sleeve seams. Crocheting the Bonnet Ch. 4. Join together with a slip st to form a ring. Row 1 - Work 6 s c in ring. Row 2 - Work 2 s c in each st. Row 3 - * Work 1 s c in each of first 2 sts, 1 d c in 2nd st of previous row: repeat from * 5 times. Row 4 - * Work 1 s c in each of first 3 sts, then work 1 d c around the d c of previous row, inserting the hook sideways; repeat from * 5 times. Row 5 - * Work 1 s c in each of first 4 sts, 1 d c around the d c of previous row; repeat from * 5 times. Continue increasing as described above, until there are 12 sts in each gore. Omitting one gore for back of neck, work back and forth in shell pattern for 9 rows or desired depth. Work 1 row of picot sts across front edge. Neckband: Work 40 s c across neck edge, then work 4 more rows of s c, st for st. Fasten off. Crocheting the Booties Work as given for Infant Star Stitch Set for instep and foot part only, then work as follows: Join yarn at center back of boot. Draw up a loop, work back and forth in pattern as given for sacque for 6 rows, having 4 shell sts in a row. Work 1 row of picot sts across top of bootie. Fasten off. This site is great to get free patterns. I am actually going to make this one day. Crochet Baby Booties Are now Listed in my Shop. Baby booties are a great way of ensuring that your child's feet are covered, warm, and protected. Since infants cannot walk, baby booties are designed with the comfort and warmth of the child in mind. Crocheted baby booties are perfect for keeping little toes warm in the winter. Crochet booties are also much cheaper than shoes. Since infants grow so quickly, they will grow out of shoes quickly. 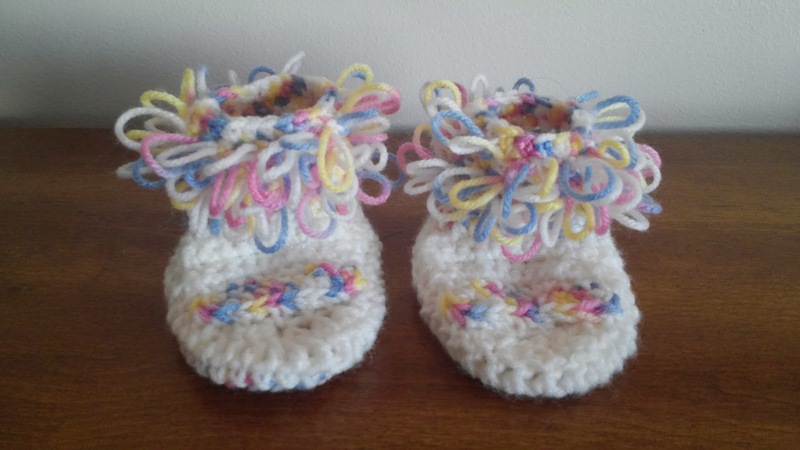 Baby booties, on the other hand, have more stretch in them, and they are relatively cheap to make. Baby booties are small (naturally) and even though there is some shaping involved they are still relatively easy to crochet and it does not take very long to make a pair. 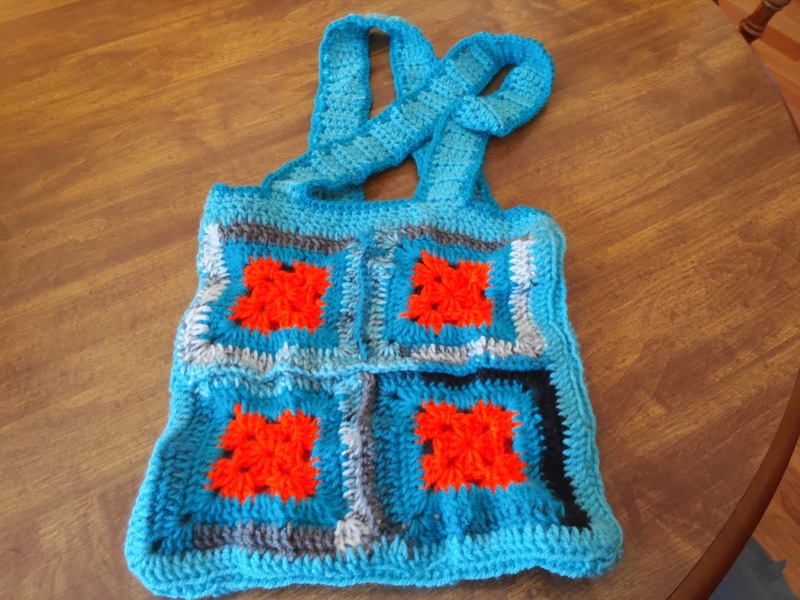 They are a quick and simple crochet gift, for any time of year, that you can customize for any age, size or gender. And on top of all that, baby booties are super cute! Often crocheted with bright decorative colors or fanciful designs, baby booties are positively adorable and stylish. No wonder they are so popular! Perfect for rest, or play, baby booties are an essential part of a baby's wardrobe and a pair of them makes a wonderful gift for the newborn. I will be making more booties and selling them at my shop so stay posted and updated. 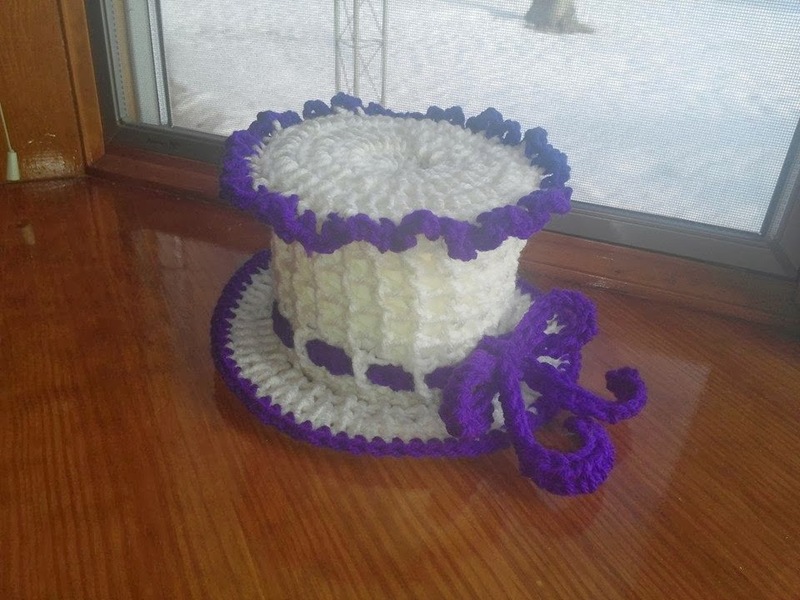 Find crochet gift ideas for the crocheters on your gift list. 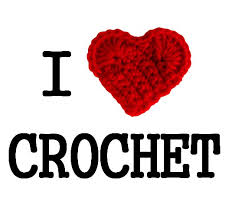 For birthdays, Christmas, Valentine's Day, for women or for men, we'll help you find perfect crochet presents for everyone on your list! Be determined and have a desire to learn something new. 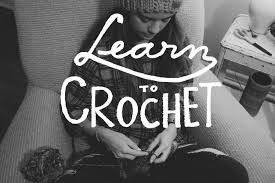 Learn how to Crochet with me. I will teach you the basic steps. 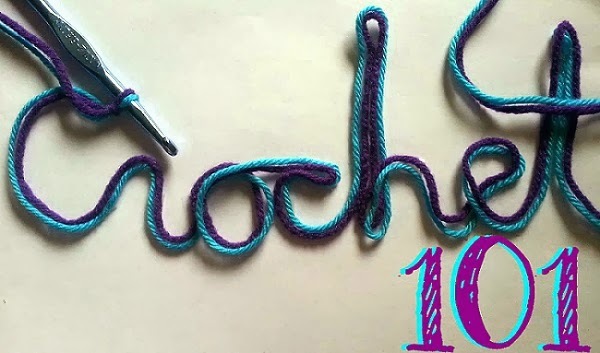 Watch and practice your Crochet stitches. You may be slow in the beginning but in time you will become fast. Once you got all the basic stitches you will be impressed what you can make. 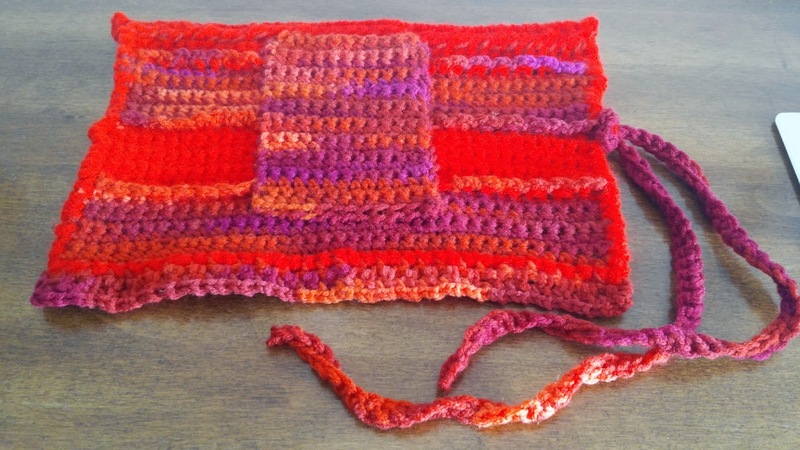 Learn how to read Crochet. I learned at a very young age and I am glad I did take the time to follow directions. YOU CAN DO IT!!!!!! I happened to make this over the weekend. Will be making more. I was wondering how to pick the colors as I started with orange and blue. I had so many scraps of yarn that I really did not know how to start my colors but when I got done with it it looked so cute. Absolutely loved it.